Every kid should have that one great aunt. 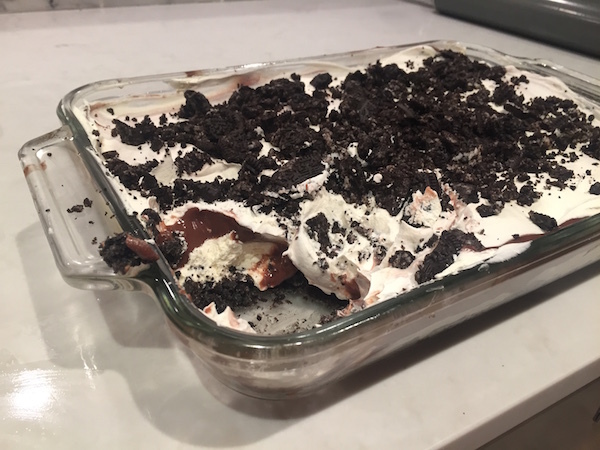 You know the one that shows up with chocolate and candy…the one who trumps a “no” with an enthusiastic “YES”… and the one who truly believes something called Oreo Lasagna is a completely acceptable thing to eat for dinner. 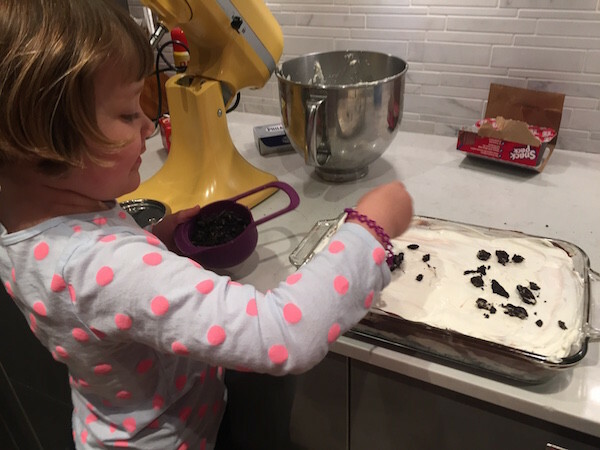 In our family that is Auntie Ann and this is her mouthwatering Oreo Lasagna Recipe. 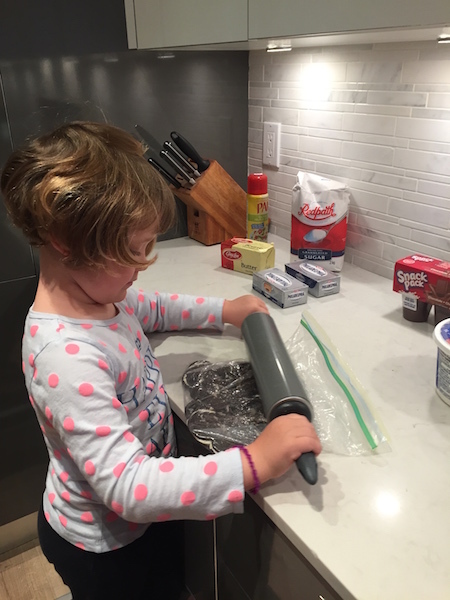 Put Oreo cookies into large ziplock back and crush with meat tenderizer or rolling pin. Put aside 1 cup of crushed Oreos for topping. Mix remaining crushed Oreos with melted butter. Press buttered Oreo’s into the bottom of the casserole dish. Even out so it is flat. With a hand mixer or stand mixer, whip softened cream cheese until light and fluffy. Pour sugar, milk and 1 1/4 cup of cool whip into bowl and whip until well combined. Spread cream cheese mix evenly over the Oreo cookie and butter layer. 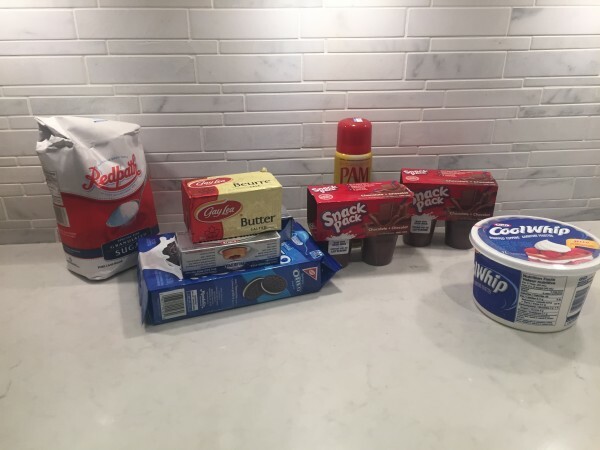 Layer chocolate pudding evenly over top of the cream cheese mix. 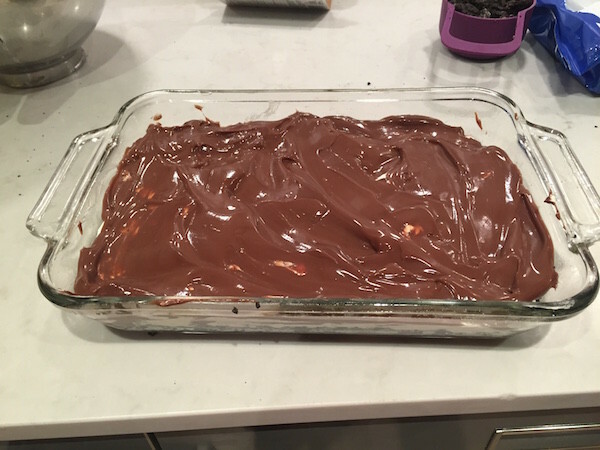 Spoon the rest of the cool whip on top of chocolate pudding and spread evenly. Sprinkle remaining Oreo cookies on top. 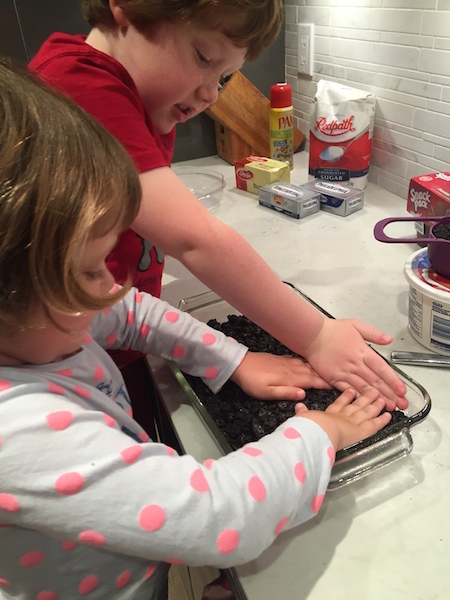 Hope you enjoy Auntie Ann’s Oreo Lasagna Recipe! I’m Auntie Anne! 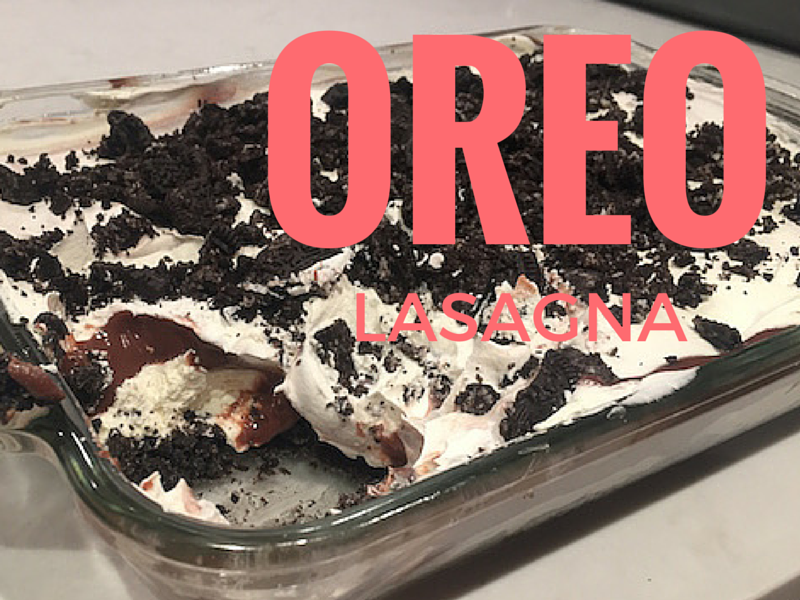 Chocolate Oreo Lasagna is totally acceptable for dinner…the only item missing from this dinner menu is ice cream! I wish my nieces and nephews were little so I could make this with them. Thanks for sharing. 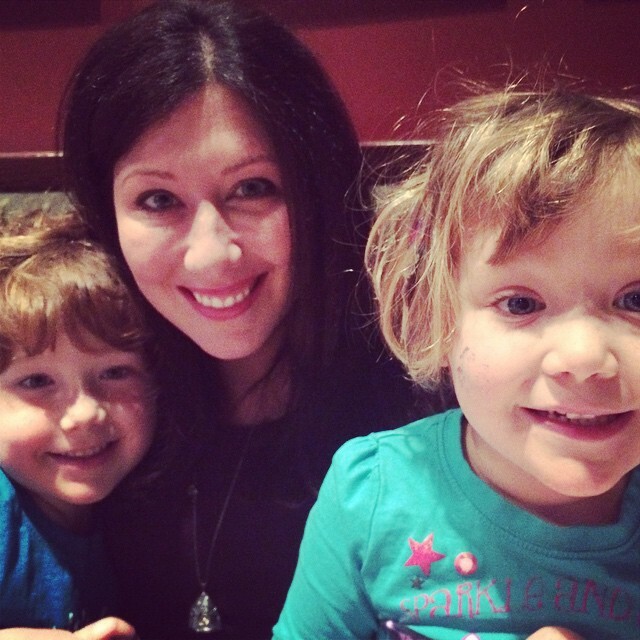 Your kids are adorable!